Mya spent years working on and back stage with tours and a number of different cruise lines as a dancer and performer. After years traveling the world, she returned to her home state of NH with her South African Husband. She and her husband began collecting Rescue Pups (they stopped at 3) and enjoying life on land. 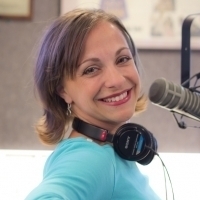 She is thrilled that her love of music brings together the two jobs she loves, Radio Personality and Dance Instructor. Mya and her husband brought their first child into the world last October. 105.5 JYY Newsletter: Prizes, Content, and More!